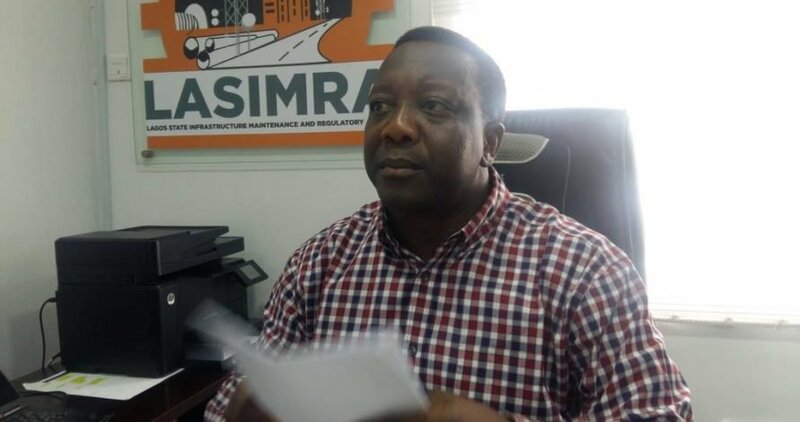 Yesterday, The Lagos State Infrastructure Maintenance and Regulatory Agency (LASIMRA) said it never gave approval for the installation of a telecommunication mast at the rooftop of the four-storey building that collapsed Tuesday afternoon. LASIMRA’s General Manager, Jide Odekunle stated this during an interview at the agency’s headquarters in Agidingbi, Ikeja. Noting that the mast was installed two weeks ago, Odekunle said the last approval LASIMRA gave for the installation of mast was four months ago. He said they have commenced investigation to ascertain the owners of the mast, adding that they would face necessary sanctions when unmasked. According to Odukunle, the agency within two months, derigged 91 illegal or abandoned masts within Ikeja, adding that plans for utility infrastructure audit across the state were underway. He said: “That mast was illegal. It is not in our database, which means the owners did not even write us for permit. Besides, there is no way we wouldn’t given an approval for a mast on that building which was already defective. “From our findings, the building was built about 35 years ago and it was already weak before the mast was placed on it. The last approval we issued for mast was four months ago. “We have identified the type of mast that is. We understand that the people who went for the installation said they wanted to use it for CCTV surveillance. Different companies for masts. For now, we cannot say the particular company or contractor that has that one but we are investigating. “As of Tuesday, the mast was not carrying any traffic. It has not been powered because the residents refused the mounting of an industrial generator to power it. So, it is difficult at the moment to know the network operator but we will definitely get to the root of it. “We heard the owner of the building has fled. Someone was collecting money for the installations. Like I told you, we are investigating all these issues. “A lot of criminal activities go on with the stakeholders. We keep calling and telling them. As a matter of fact, in the last two months, we have embarked on derigging abandoned and substandard masts. “We started from Ikeja metropolis. We derigged about 91 that were substandard in Ikeja alone. The masts lacked specifications that we expected. From Ikeja, we shifted attention to Etiosa, where we have also been derigging in the past two weeks. “The issue is, once we discover one that is substandard, nobody claims ownership of it. Since safety of residents is paramount to us, we quickly derig. We have been appealing to stakeholders to apply for permits and follow due process. “We do not just issue permits, we also regulate utility infrastructure such as mast towels and underground cables. People are not allowed to put masts any how. There are standard procedures that most be followed and specifications that must be met that it why LASIMRA has to be carried along from start to finish. “For masts on the ground, we test the soil specification, height of the mast and diameter to be sure it is okay and the community has to accept it, otherwise, we would not approve. Then, for rooftops, we conduct integrity test of the building, check the diameter. “These things happen especially in places like Ojo. Developers go to operators to market their structures once they finish construction and collect money. “We have been appealing to the public to contact the agency once they see anything they are not comfortable with. Once they see any installation going on and there is no approval permit from LASIMRA, they should contact us. We usually paste notices on installations we approve and we state the contractor, duration of the project and every other important detail for people around to see. Asked if it was safe to install masts on residential buildings, Odekunle answered in the affirmative, noting that it was recommended global best practice since the height of the structures were far above human heights. “There is no harm with rooftop mast installation. It is the recommended method globally. The fear about emission of radioactive materials to harm occupants is unfounded because the rooftop masts are way above human height. What should be of concern to us are oil spillage from generators we place on the floor, which penetrate the ground and get to water levels. He said.